Gold medals, blue ribbons, and straight A’s. That was my life until my junior year of high school – at an all boys Jesuit institution called Bellarmine College Preparatory, in Santa Clara, CA. I was a champion chess player, excelled in speech and debate, played Junior Olympic water polo, was an amazing long distance swimmer, and successfully day traded stocks and options at the age of 15. After getting accepted to numerous colleges and universities, I chose to attend the University of California at San Diego (UCSD). A lot of mentally ill people have a “break”- and I had mine shortly after my freshman year at UCSD. But I began having delusions in high school. My junior and senior years were punctuated by a burgeoning belief that I somehow controlled the stock market. It wasn’t totally off the wall, and It didn’t seem rediculous at the time (in 1999). I entered into investment contests on Yahoo.com and CNBC and did extremely well – placing in the top 10 out of millions of entrants. Before having my account hacked, I turned $1300 into over 20k in less than 3 months. My online persona – Whtdafrick- had thousands of followers, and my expertise in Biotechnology stocks made my periodic newsletters widely read and influential. It didn’t hurt that I used the same formula – a version of Tom Demark’s sequential indicator- as some of the most powerful hedge funds on Wall Street. My investment advice was right 95% of the time, and the power I had over the stock market began to go my head. Then my head started talking to me. I began to hear “the voice”- more or less the same voice that I hear today (17 years later) – late in my senior year of high school. It was scary as hell. In chess, I always thought 5 moves ahead, but when I started to hear the voice, I couldn’t even plan one move ahead. The world around me didn’t make sense any more. I was powerful. I was evil. The world revolved around me. Suddenly anything supernatural could happen to me, and around me. “Whtdafrick’s” messages to his online followers became cryptic ciphers – accurate, but impossible to understand without the key (that only I possessed). I started to not care about Calculus, Chemistry or Religious studies, and I began to skip school. I retreated into myself and began smoking pot as well. Marijuana did nothing but add fire to my developing mental illness. The voice became stronger, louder, as did my confusion, paranoia, and dissociation. I really don’t know how I managed to graduate high school, and travel south to attend UCSD. I was literally hanging on by a thread at the time. The only class I attended as a UCSD Triton was Cognitive Science. 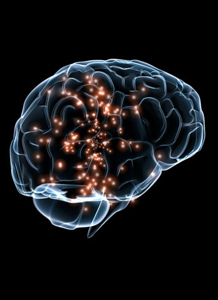 I loved the way neurotransmitters traveled around the body, and the brain, and interacted with each other. It seemed to make perfect sense to me, and I made sure to attend every class. But my mind was on a whole other planet. I met failure for the first time at UCSD. My A’s became F’s. My confidence became fear. My always bright and vibrant world became shrouded in darkness. I began to truly believe that I was the center of the universe. I just didn’t know how I fit in it . Confusion and desperation ruled the day. I became deathly afraid of the world around me, and afraid of myself and my power. The 3 sixes in my social security number obviously meant that I had the “mark of the beast.” I was evil. But how evil and how powerful was I? As I tried to understand, shut out (impossible), and interact with the voice (just one) in my head, my delusions began to take on a religious nature. I began to think that I was the root of all of humanity’s ills and problems. Each day, I smoked pot and walked around UCSD’s campus under a hoodie reading religious texts and chanting to myself. The radio became something I talked to and interacted with, and I began to think that I could become a successful rock star – that I was going to be a famous rapper or the front man of the band Gorillaz. The music that pumped through my headphones (usually hard rock, metal, or rap) drowned out the voice a bit, but it never really went away. Every 20 seconds or so I’d hear a word or sentence from another universe. I still posted cryptic stock market and investment advice during my time at UCSD. One fateful day, as Whtdafrick, I posted a message about the imminent collapse/crash of the stock market. The internet bubble popped the next day. There was no doubt about it – I caused the stock market to crash. I was a demon, a pariah, or the Antichrist himself. There was no question about it. My true crash happened a few months after that of the stock market, on a day we know as 9-11. As the twin towers collapsed and terrified, dust covered New Yorkers ran from the flaming wreckage, I felt 100% responsible. I thought the stock market crash caused 9-11 and I, of course, caused the stock market crash. They were inextricably linked. In the days after 9-11, events on MSNBC and other news networks became linked with the voice in my head. Changes in terror threat levels and reports of Anthrax attacks or civilian deaths totally jived with the periodic messages in my head, and the uncontrollable thoughts that poured out of my third eye. I felt like I was actively causing unspeakable calamity, that the government was watching me, and that I was the root of the world’s problems. I had to get away, and fast. In order to put as much distance as possible from the people (and country) I was actively destroying, I hastily packed a bag and without goodbyes, drove my newly acquired Ford Mustang South through California and into Mexico. I drove recklessly, constantly on the lookout for the ubiquitous governmental black Lincoln town cars that seemed to lurk around every turn. The voice in my head told me to turn back, but I ignored it, trying to get as far South as possible (hopefully to Cabo). Mexico was beautiful and the land of the free for a while – before my luck and fuel ran out a couple of hundred miles South of Ensenada. With a clunk clunk clunk and a hiss of steam, my trusty Mustang died and stopped running on a winding mountain pass. I got out of my car and hiked into the desert wilderness in search of a safe place to sleep and rest my weary head. After a night of restless sleep under an amazing tree and a Snicker Bar breakfast I hiked back to my car, which had disappeared. Was this an act of God? Was this the Universe effectively throwing me away? I had the clothes on my back, a navy blue sports bag, a religious book of God’s promises, and a blanket. No money. Nada. The voice in my head remained cryptic and mysterious at the time. Like God watching Satan and telling him “I see you,” “I know what you’re doing.” Even though I was hearing God’s voice or that of my higher power (I still don’t know) I felt completely and totally alone. My “Mexico trip” lasted over two weeks. I walked aimlessly through the desert for almost 3 days before finding a horse trough to quench my considerable thirst. I went without food for 7 days before being gifted some tortillas and hotdogs from a passing farmer. I had incredible spiritual experiences too. I talked to the wind for hours, and spent an entire day talking to and questioning a group of quail. By the second week in the desert I was speaking only Spanish, and I had renamed myself “Romeo de la montana”- in honor of the mountain where I made my camp on for a few days. The few people with whom I came into contact with the “crazy gringo” looked at me curiously and then went on about their ways. “Without a hat to shield the sun, my face burned mercilessly. I was quite a sight when I emerged from the desert and tried to hail a truck carrying chicken hearts North toward Ensenada. After two adventurous weeks in Mexico all I wanted to do was go home. To walk into my room, shut the door, and sleep for two weeks. Yes, home was the land of 9-11 and where all my problems began, but it was home. The gracious hombre hauling chicken hearts dropped me in Ensenada where in a last ditch effort to escape completely, I James Bonded my way onto a Carnival cruise ship. I tried to stow away and when the crew found me I stated “Quero trabajar en el barco largo.” The captain himself came down from his perch to view the dirty, sun damaged, American who mumbled terrible Spanish. He didn’t give me the job of my dreams, but gave me the first real meal I had had in over 2 weeks. And luckily for me, didn’t hand me over to the Federales. From Ensenada I hitched to Tijuana and eventually made it to my home in Soquel, California. I think that 9-11 was the day I officially had my “break,” but the day I came home was when I officially fell. How would you respond to a son who had been missing in Mexico for two weeks and came home speaking Spanish? “Hola madre, me llamo Romeo de la Montana” That’s what I said to my mom- the woman in her nightgown with tears streaming down her cheeks. She only had to spend 15 minutes with me before guiding me to her Toyota and driving me to the Dominican Hospital Behavioral Health Center. At age 19, it would be my first hospitalization- one of 13 over the next 4 years. The golden boy was golden no longer. It was a precipitous fall, and largely unexpected. I grew up in an upper middle class family, was well adjusted, had a close circle friends, and by all accounts, was destined for greatness. The only mentally ill person I ever encountered before Dominican was Jim Carrey in the movie Ace Ventura, who wore a Tutu and sashayed down the halls of an institution- not totally unlike the one I found myself in. To say that I was scared during my first stay at Dominican would be an incredible understatement. I felt like a caged animal among other caged animals. A million horrible thoughts and scenarios rushed through my head. “The government got me!” “They are going to torture me in here.” “The people working here are aliens.” “Everyone here has to be dangerous!” The worst thing was how I felt betrayed by my mom. I felt thrown away, and completely and utterly abandoned. I was stripped of my crusty Mexico clothes and given a pair of blue socks and a hospital gown that didn’t cinch all the way. “You have a mental illness,” I was told by a psychiatrist who looked like the mad scientist from the movie Independence Day. “We’re going to put you on the antipsychotic Haldol.” Wait? What? Even though I admittedly heard a voice in my head, I certainly didn’t consider myself “ill.” The voice was so real and so supernaturally powerful that it couldn’t possibly be an illness. The mental health system doesn’t make accepting having a mental illness easy. With a diagnosis comes stigma, meds (and side effects), a label, and for the most part, total and utter hopelessness. “You’re going to be like this your entire life,” they tell you. Recovery is rarely ever mentioned- I didn’t hear the word until my 6th year in the mental health system. Every day during my first hospitalization was torture. I hid in my room under a blanket praying to the voice, God, or whatever, to not let the other people in the unit turn on me and kill me. The heavy dose of Haldol I was put on made me tired, slow, and dumb, and made me drool. I was tired and wired at the same time- the energy of fear battling the sedative effects of medication. Miraculously, my hospital stay ended and I was sent home to my mom’s house with plans to attend a day treatment program at Good Samaritan Hospital in Santa Clara and medication to take 3 times a day. I was relieved to be free from the psych unit – and not tortured- but in the back of my mind I knew my life was over. The fall was fast and brutal, and everything I had worked for my entire life was in effect, ruined. I was sick, had no friends, my family abandoned me, had no future. What’s the point of going on? After a Christmas Eve dinner with my family at a restaurant called Severino’s I decided to end it all. I thought the restaurant’s name was a message to me to Sever-I-know’s and kill myself. It felt appropriate that I die on Christmas. I was doing the world a favor and ending my pain, fear, and loss at the same time. While my parents ran errands and got ready to see the movie “A Beautiful Mind” I took around 300 Haldol pills and lay down to die. I woke up in a different kind of hospital – one that I came to enjoy more than the locked psych units that I would call home for much of the next 4 years. My throat was coated with charcoal and I was hooked up with more tubes than I could count. This was not good. I was alive. I lay in that hospital bed for days, and began to understand my new reality. Because of my suicide attempt, I was to become “conserved” – a ward of the State- and I had no rights whatsoever. My parents didn’t want to be responsible for me, and I would have a court appointed conservator who would make all decisions for me for the foreseeable future. There was a theme the next 4 years; just when you think it can’t get any worse, it does. I spent that time drifting in and out of every single locked (mostly) and unlocked mental health facility in Santa Cruz County. At 19, I was always the youngest and weakest so I was picked on constantly and taken advantage of. Every time someone pushed me, threatened me, or verbally assaulted me, I felt like the entire world was doing the act. I tried my best to control the racing thoughts that shot out of my third eye.I feared constantly that others could read my mind and would attack me if I thought bad thoughts. I was scared too. Beyond scared. Like worrying you’re going to be crucified a thousand times in a row scared. The voice has always made the supernatural possible- good and bad- but mostly bad. Some facilities were better than others. Some were complete and utter hell, and others came with ocean views and good food. But in the end I was always ill, sick, and broken. Every time I took medications, anger bubbled up inside me. I didn’t belong there. In every facility I was in I tried to escape – to get some reprieve from the mental hell I was in, and to get some freedom, and a break. I went AWOL from unlocked and locked settings so often that I was always classified as an AWOL risk. Because of this, I was given few freedoms and was watched very closely. But those days of freedom like camping in the woods or sitting on the beach made it totally worth it. The psychiatric unit became the bridge between facilities. I’d escape or get kicked out of one facility, go to the hospital, and then go to the next. One of the main things I hated about the places I was forced into was never having my own space. I never had a door that locked or a closet in which to put my possessions. Not that I had a ton of possessions. For an entire year the only things I owned were 4 pairs of blue hospital socks (I started to collect those), two pairs or pants, 2 shirts, and a pair of underwear. I remember what a big deal it was getting a radio. Some kind of distraction- a break- from the groups, and the emotional whirlpool of living in a mental health facility. Ahh the groups. I counted all of the groups I was forced to attend during those four dark years. 905. No joke. I’m a big believer that you will get nothing out a group you are forced to attend. I attended more Alcoholic Anonymous, Narcotic Anonymous, WRAP, and therapy groups than I could count. Actually I did count them. The worst part was that recovery was never ever mentioned. That didn’t happen until group 906 – the NAMI Peer to Peer class. My relationship with my family was tarnished and awkward. These were the people who threw me away like garbage. They weren’t there when I truly needed them. I now understand that my mother was going through her own panic with my hospitalization, and her pain became my pain. For years she didn’t know what to do, and until she got involved with NAMI, she made my life worse. My old friends abandoned me and haven’t talked to me since – probably because my break was so brutal, fast, and total. My Dad is still in denial to this day, and thinks my illness is mostly a joke. Where my mom became educated, my dad refused to acknowledge that my mental illness was real. I think aunts, cousins, uncles, brother etc. treated me and still treat me differently because of my diagnosis. My first diagnosis was schizoaffective disorder, but no diagnosis really stuck. 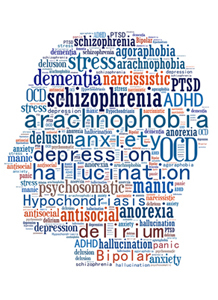 My diagnosis went from schizoaffective disorder to schizophrenia to bipolar disorder to schizoaffective disorder to schizophrenia again to schizoaffective again to schizophrenia one last time. Schizophrenia is my diagnosis today. I’ve been diagnosed so many times that my diagnosis doesn’t really matter. I’ve always received the same types of treatment, and the same types of medications regardless of the various labels I’ve been given. Slowly but surely, and over many, many years, I have begun to accept my diagnosis and treatment options. I never liked what mental illness symbolized–meds, locked and unlocked “care”, stigma, sickness, illness, side effects from meds, and what have you. The first part of my acceptance happened when I took the NAMI Peer to Peer class and I started to believe that recovery from mental illness was an actually possibility. It blew my mind. I really only went to Peer to Peer- group 906- for the free pizza – but what I got from that group was totally life changing. I witnessed people living – and thriving- with serious mental illnesses. That first Peer to Peer class was taught by a man named Stephan who has schizophrenia ( and who’s now a good friend of mine). He changed how I think of mental illness and lot of my preconceptions and misconceptions about serious mental illness. I learned that I didn’t have to be sick, ill, or worthless forever. I saw people living with serious mental illness doing amazing things with their lives. Psychiatric medications and mental illness are so intertwined that it’s sometimes hard to think of one without the other. I’ve had a love/hate – mostly hate- relationship with most of the the psych meds I’ve been on. To this day, the drugs I’ve been on – Risperdol, Zyprexa, Haldol, Depacote, Abilify, Lithium (just to name a few)- have never made my voice vanish, despite the dose or timing of doses. Psychiatrists like to ask two magic questions: 1) are you feeling suicidal? 2) Are you hearing voices? I always answer, “no” and “yes.” I’m resigned to the fact that psych drugs won’t make my voice go away, but part of my acceptance of my mental illness -schizophrenia – is my belief that the meds I’m on do help. But I take my meds under my terms now, and that’s huge. One of the worst parts of being conserved and having no say in my years of mental health treatment was having absolutely no control over the types, timing, and amount of medication I took each day. For years, I was a low functioning zombie – barely making it through my dreary days. I think part of the reason I was so hopeless and afraid was that I was so over medicated. Today, my psychiatrist and I have worked out a plan together that allows me to take the medications I need to stay stable and healthy, at night. As long as I get 10 hours of sleep, I’m able to function totally normally the next day. I take 300 mg of Clozaril at night, sleep 10 hours, and have no drooling, fatigue, or emotional numbness the next day. Because I have energy- to exercise, go to class, have a job, ect – having schizophrenia isn’t that bad, and it’s much easier to accept. I still hear the voice, but I deal with it better now that I’m not in zombie-land. Because I had such a negative relationship with meds for so many years, taking them voluntarily was a slow process. But now that I’ve found the right meds, timing, and dose I’m more than happy to take them. When I entered the mental health system I was pretty healthy and fit, but that all changed when I started taking medications and smoking cigarettes. I never smoked a day in my life until I got to 7th Avenue Center in Santa Cruz at age 20, where 95% of the people smoked constantly. It’s not like there was anything else to do. I think that’s part of being in a hopeless state – you need things like cigarettes to get you through your days. After 10 years of smoking 2 packs a day I developed pretty bad COPD and asthma and could barely walk up a flight of stairs. I entered the mental health system a svelte 170 pounds, and when I left inpatient and outpatient facilities 4 years later I was 324. Most of the weight gain can be attributed to Zyprexa, a medication notorious for causing big butts and plump tummies. Just like with cigarettes, hopeless states equal hopeless eating. Sometimes you need sugar, fat, and salt just to get you through your days. I mentioned earlier about how I took the NAMI Peer to Peer class and that I now believe that recovery is possible. Why is recovery such a secret in the mental health system? Why aren’t people told from day one (in the psych hospital or wherever) that recovery from bipolar disorder, schizophrenia, or schizoaffective disorder is a distinct possibility? It’s mind boggling to think about how long it took me to learn that yes, you can get your life back! That’s my mission today – to show that recovery is possible, and in some cases, probable. And to do it at the earliest stages of mental illness. Those with mental illness, and their family members, need to understand that having a mental illness is not a social, educational, and financial death sentence – and that those living with serious and not so serious mental illness can recover and live rich and full lives. A decade ago I was a hopeless 324-pound young man- lost in mind and body. Today, I’m a fit and happy 170 pounds. I work out daily, and kicked the cigs too. My COPD and asthma went away and I am back in the pool and ocean, swimming and body surfing. My terrific physical health is actually eclipsed by my mental health, and I’m the happiest and most content I’ve been in my entire life. I strive to stay balanced in all I do, and I’ve found ways to give back to my community that leave me completely fulfilled. I’ve also got stability – a nice apartment, a car, and an amazing Choweenie named Groot. It’s been hard work and incremental progress. Attending regular therapy, a nutritionist, focusing on self-care, getting regular exercise, and having patience have been key. Things don’t change overnight. My 10 years with NAMI, the organization that gave me hope and put recovery on the table for the first time, have been the hallmark of my reclaimed life. As peer programs coordinator for NAMI Santa Cruz County I’ve been able to affect change on a larger scale than I ever imagined. The number one thing I make sure to tell my students, those I meet in the hospitals or facilities I speak in, or the support groups I run, is that recovery is 100% possible. I’m living proof. Mental illness doesn’t have to define you or take over your life. It can actually be a blessing- leaving you more empathetic, compassionate, and understanding. That’s something I thought I’d never say. Today, I’ve taught Peer to Peer- the class that changed everything for me- 15 times. I’ve also lead over 150 NAMI Connections support groups, and run our County’s In Our Voice Program. IOOV has been especially amazing and my team of 12 speakers and I go into facilities and hospitals where we’ve been residents and share a message of hope, healing, and recovery. “I remember sitting on this same brown leather sofa” I say. “I remember being hopeless and afraid. 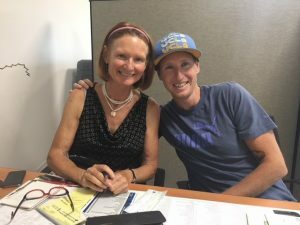 It doesn’t have to be this way forever.” One of the coolest thing I’ve done for NAMI is to teach the Provider Education course for mental health providers (those running facilities and programs locally). As someone who has spent time in almost every locked and unlocked facility in Santa Cruz County, I understand what consumers like me need, what is effective, and what isn’t. In my 10 years with NAMI, and my 4 years on the NAMI SC Board of Directors I’ve seen our local chapter grow by leaps and bounds, from a tiny organization of 15 volunteers to a powerful force 70+ strong. My mental health advocacy isn’t limited to NAMI though. 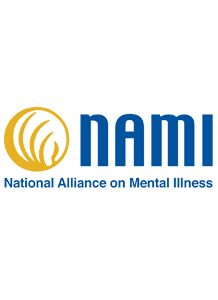 NAMI is the organization that gave me hope and meaning when I needed it most, but I’ve been involved in changing the mental health system in other ways too. I serve on the Santa Cruz County Mental Health Advisory Board- and chair the Site Visit sub- committee. I’m charged with visiting county facilities- many that I’ve been in- to report on them, make sure they fulfill County contracts, and give men and women who stay there a voice regarding treatment and programming. I’m also active in my church’s newly created mental health ministry- and will facilitating a support group for peers. Today, I’m a vocal mental health advocate and stigma buster- not shy about telling people I have schizophrenia. I get to speak in front of hundreds of people and students and tell my story. Talking to those the same age I was when I became “ill” is a joy. I’m going back to school, which is something I never thought I’d do. After receiving straight A’s for 3 years and a journalism AA at the local junior college, I started attending the University of California at Santa Cruz in the fall. I am loving life as a UCSC Banana Slug, and am majoring in Sociology with a minor in Global Information and Enterprise Studies. I’m one of the older faces on campus, but that doesn’t seem to matter much. I look forward to taking another Cognitive Science class soon – I’m in a much better headspace. I’m busier now than ever and split time between NAMI, school, and a terrific writing gig at the local Alternative weekly – The GoodTimes. Writing is my true passion and I’ve been working on a book called “Matters of Size” focusing on sexual bullying, gendered harassment, and precursors of mental illness. I remember when all I owned was four pairs of hospital socks. I literally have everything I need now, and I have hope. Yes, I still hear the voice in my head. It’s changed though. No longer is the voice foreboding or cryptic. Today it’s like a cheerleader in my head telling me how awesome I am- most of the time. Sometimes the humor can be a bit brutal, and I’m still trying to figure out who or what it is. But the voice and I have grown together. It seems we’ve both found peace, happiness, and love. And hope.